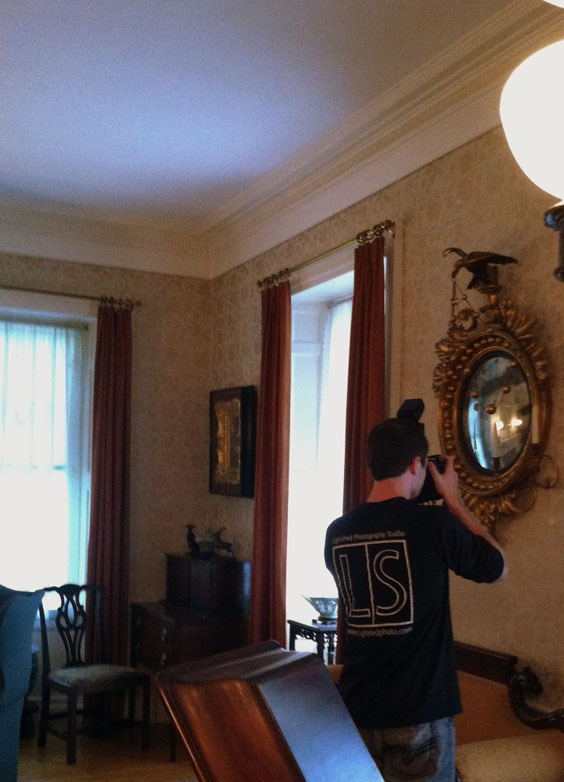 Recently Rob Reynolds from Lightshed Photography spent an afternoon updating the interior photography collection at the Phillips House Museum in Salem, Massachusetts. The last major photo shoot from the museum dates from the early 2000s. Rob is trained in black and white photography from the Maine College of Art. He is excited to add a combination of tasteful marketing shots as well as some more artistic photography to the Phillips House’s collection. Digital images are expected in the coming weeks and will be shared with Phillips House Facebook fans. Stay tuned!